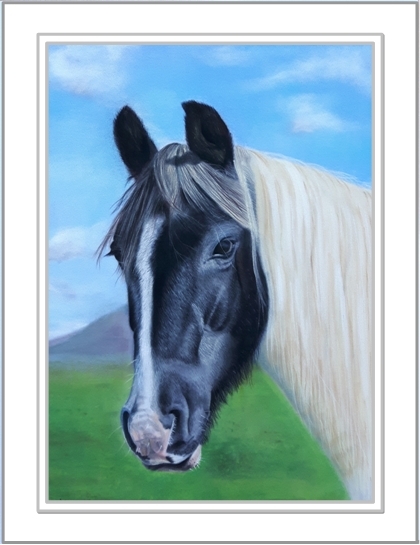 It was my mum’s 70th Birthday this year and I really wanted to get her something special. 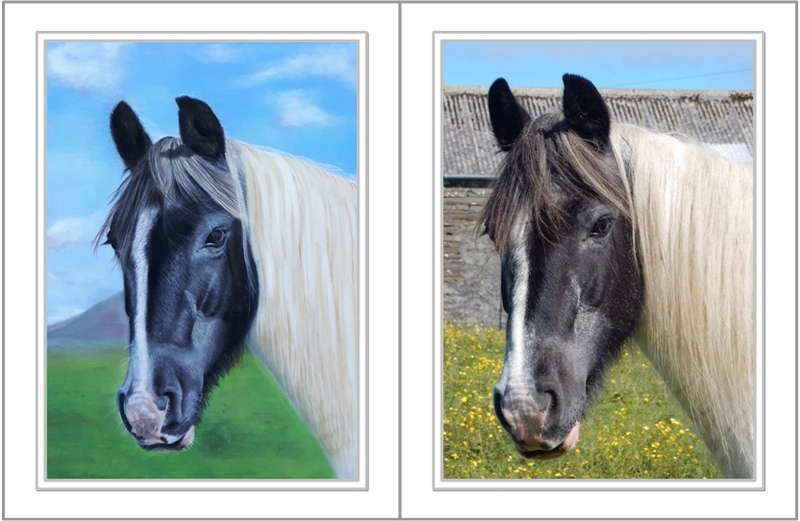 When I realised that Sue can paint horses as well as people and dogs, I knew immediately what would be perfect for my mum. 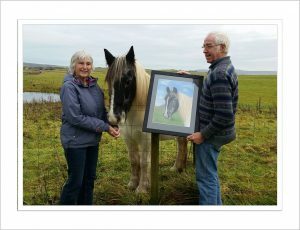 We live 900 miles apart so after a lot of secretive background work involving local friends obtaining a photo and having to hide behind a wall and pop up and surprise her we finally had a lovely head shot of mum’s horse and Sue got to work. We had the piece framed locally – the framer said it was the best pastel horse portrait she’d ever seen – with the Orkney hills background it feels like having a window to this beautiful place. When mum opened the parcel for her birthday it brought her to tears. She said it was Perfect! And it’s not an easy achievement to get a perfect present for someone who’s had 70 birthdays! Thank you Sue!